As the first in a series of four onsite public residencies, Catarina Carvalho and Neil Fleming Brown, dance artists from Studio Wayne McGregor, will spend three days in the galleries at the Zabludowicz Collection. 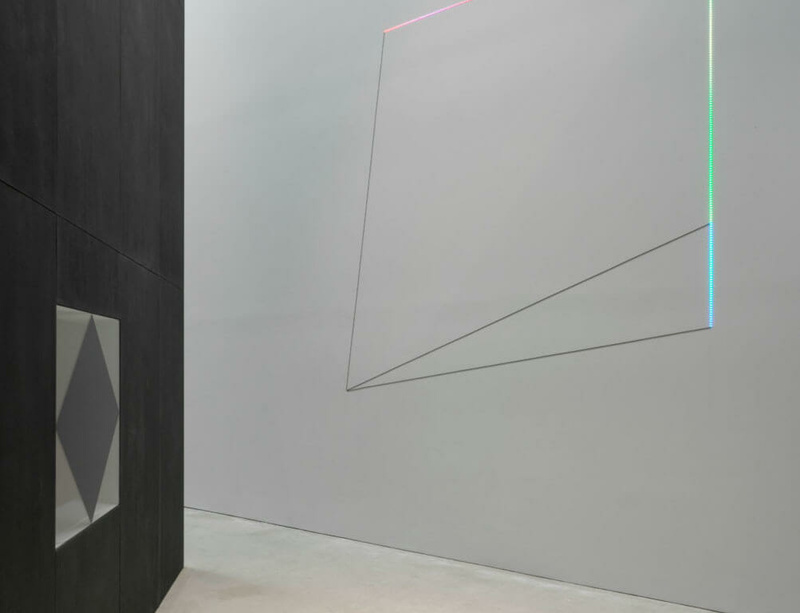 During this time, they use the space as a studio and the works as collaborators, exploring the crossover interest of long-term collaborators Haroon Mirza and Wayne McGregor. The new interaction produced in response to the installation is presented within, and as part of, Haroon Mirza / HRM: For A Partnership Society. McGregor and Mirza have collaborated creatively on works performed in the UK and internationally. In 2015, McGregor conceived Alea Sands in conjunction with Mirza for the Paris Opera Ballet, in honour of the legendary French conductor and composer Pierre Boulez. Mirza created a captivating lighting system which interacted with Boulez's electronic score and the architecture of the Palais Garnier, with dance choreographed by McGregor. The following year, The Kettle’s Yard at the University of Cambridge commissioned a new dance and sound piece by McGregor and Mirza for the exhibition Into boundless space I leap. The piece, which explored the body, sound and space, was performed at the Maxwell Centre in 2016. Mirza’s piece Light Work xxv, 2017, on loan from Lisson Gallery, is currently installed at Studio Wayne McGregor, McGregor’s world class creative arts space at Here East on Queen Elizabeth Olympic Park. Haroon Mirza / HRM: For A Partnership Society is on view at Zabludowicz Collection until 17 December 2017. Book your space for the residency's opening on 5 October here.